Wild Cards explores an alternate world that was forever changed by the Wild Card virus. In 1946, the virus was released over New York City before infecting victims across the globe. 90% of the infected were killed, while 9% of the population was left with crippling mutations. However, 1% of the population gained super powers after being infected. In the aftermath, the empowered humans were called Aces, and the mutants were called Jokers. The original books take place in the present day and span across American history. 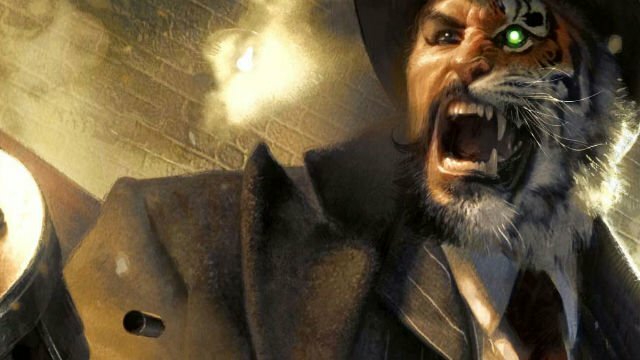 The Wild Cards universe owes its origin in a tabletop game led by Martin. Martin’s gaming group was comprised of science fiction authors who were very passionate about comics. They wanted to make their own superhero tales that were more mature than the ones they read in the ‘80s. Martin invited writers like Roger Zelazny to contribute stories in anthologies based upon their shared universe. The first book was published in 1987, and a Marvel comics adaptation followed in 1990. To date, there have been 27 volumes of Wild Cards novels. Martin announced in 2016 that UCP had acquired the rights to his Wild Cards book series. The two new series will be written and produced by Andrew Miller (The Secret Circle). Melinda Snodgrass, Vince Gerardis, and Martin are producing both shows. However, Martin won’t be writing the series because of his first look deal with HBO. Martin also executive produces the Nightflyers series on SYFY, which is based on his novella. Are you excited to see Martin bring his Wild Cards series to Hulu? Share your thoughts with us in the comments below!